Great Taste 2018 Winner. British milk. High in protein. Gluten free. Natural ingredients. Suitable for vegetarians. Naturally*! *Made from natural ingredients Lover of thick 'n' creamy yoghurt the way it should be? 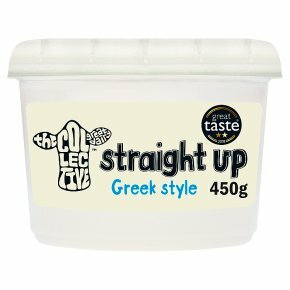 If so, then our 'straight up' is the one for you! This super versatile yoghurt is simply great on its own, when baking, creating marinades, dips 'n' dressings. Why name it straight up you ask? Well you see, 'downunder' straight up is just another way of saying honest, no bull... naturally!